Think Cuba, chances are cigars and cars will come to mind. It might be cliché, but both are true. 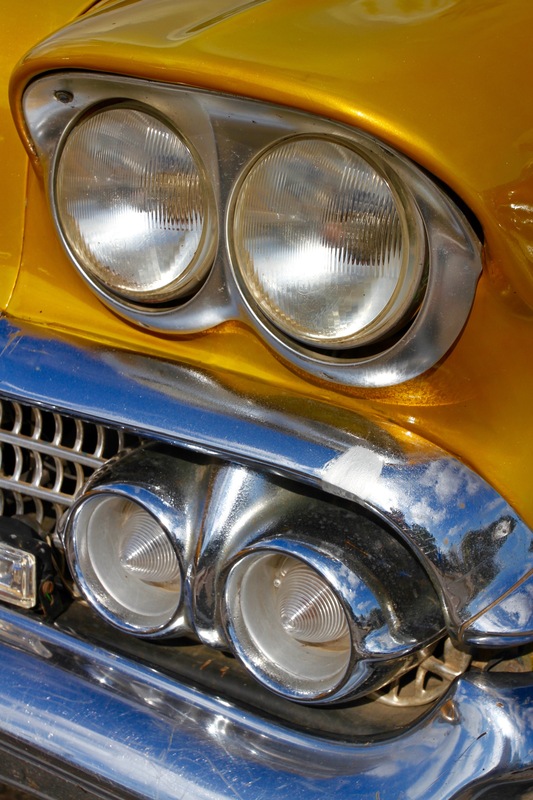 Cuba’s been called a ‘Jurassic Park for cars’, and there’s truth in that. 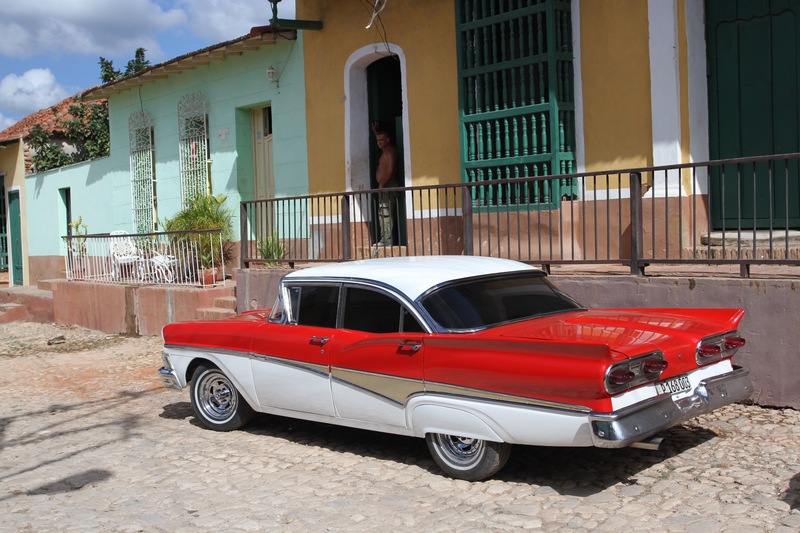 Classic American cars grace every piece of tourist literature and travel story about Cuba, but I didn’t actually believe there’d be so many 1950s, 60s and 70s cars driving around. They are everywhere and in all sorts of conditions. 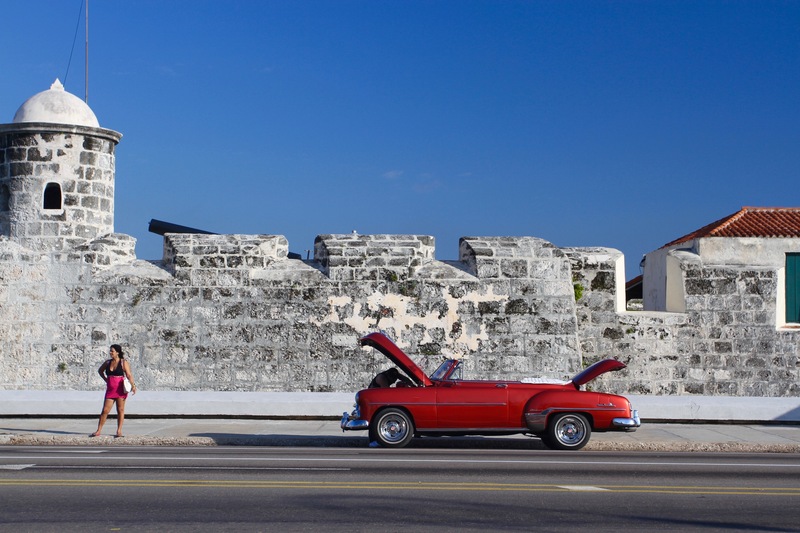 In Havana, some of the best preserved and renovated cars chauffeur tourists along the Malecón and into Havana Vieja. 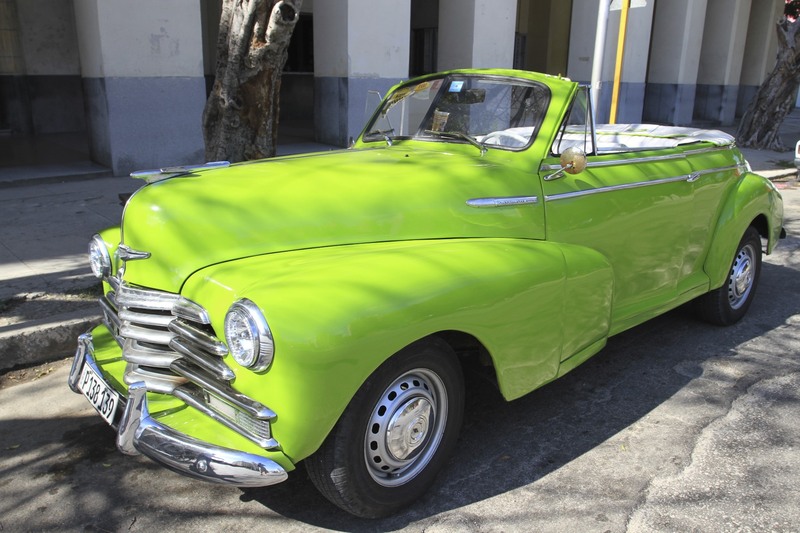 Elsewhere in Havana, and every other town in Cuba, there are old American cars that have been patched up, rebuilt and fitted with specially adapted Lada engines imported from Russia. I doubt there’s a classic car left that isn’t made up of several different cars. We ended up taking classic cars on several different trips. You get a little thrill every time you step inside one, but it would be hard to describe the majority of these workhorses as comfortable. Most have mismatched seats long bereft of functional springs, windows that don’t work and little in the way of suspension. It’s not unusual to see them by the side of the road awaiting repair. Five hours squeezed with two other people into the front seat of a 1970s Dodge was enough to convince me to never do it again. In a country where cars and car ownership are rare, people take great pride in their vehicles, and have used enormous ingenuity to keep them on the road. 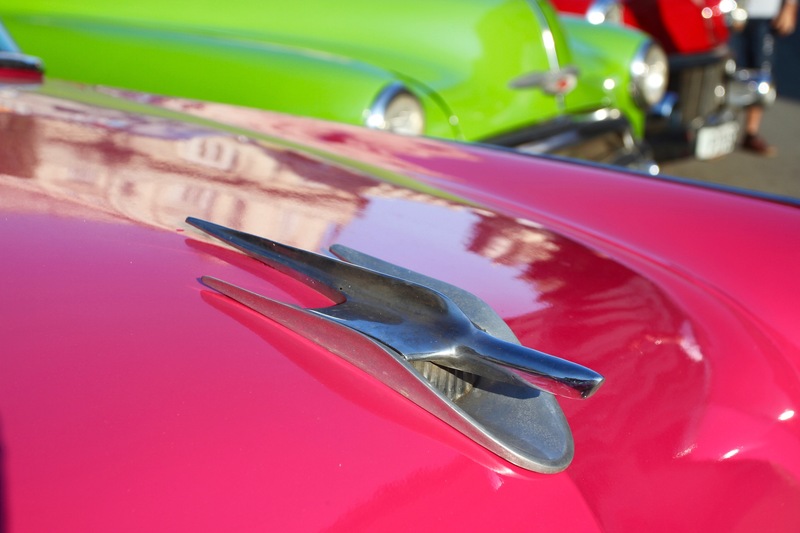 In many ways, they’re an ironic yet iconic symbol of Cuba’s defiance in the face of hostility from the United States. Given the difficulty of buying new parts, it’s a miracle that so many cars continue to be roadworthy. A casa owner we stayed with said he’d travelled 80km to a small town to find spare parts for his car engine; when he got there he wasn’t able to strike a deal with the owner and went away empty-handed. A daily occurrence in Cuba. 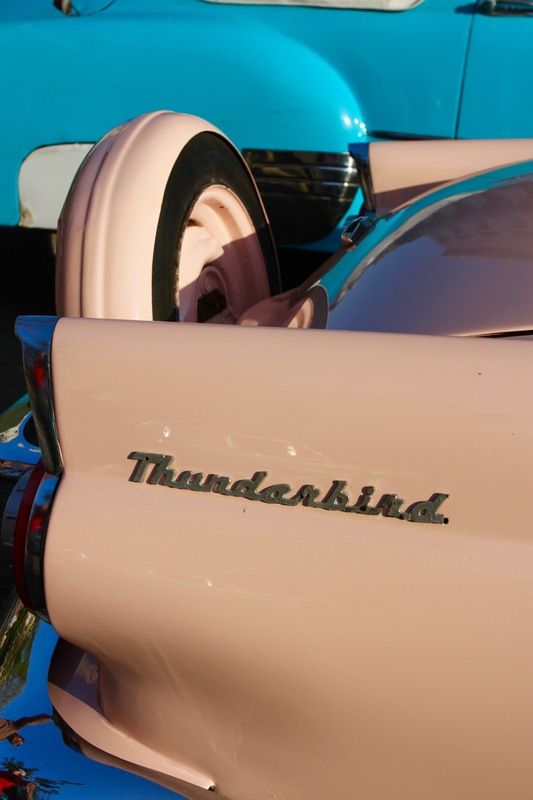 For sentimental reasons we were looking for a 1958 Studebaker. Try as we might though, we couldn’t find one anywhere. 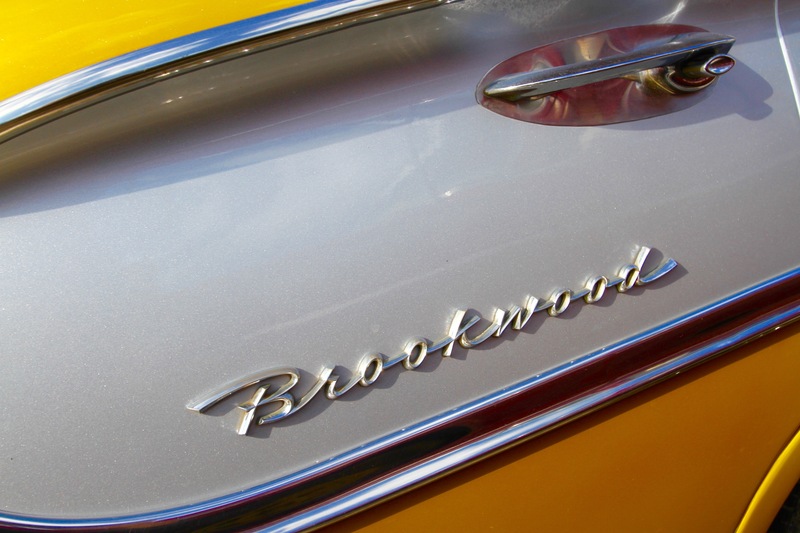 We searched and asked wherever we went, but although we found Fords, Chevrolets, Buicks and Dodges from the 1950s, and American ‘muscle cars’ from the 1960s and 70s, a 1958 Studebaker wasn’t to be found anywhere on the island. 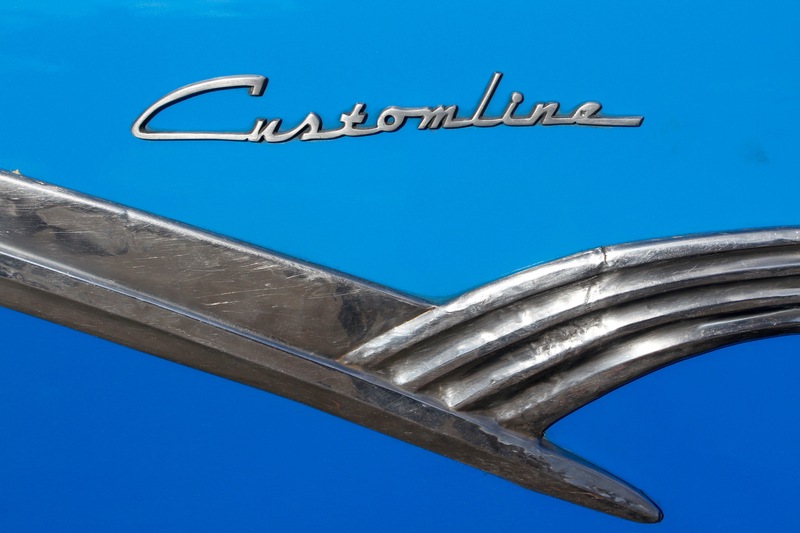 Amidst the many classic American cars, Ladas, motorbikes, cycles and various horse-drawn transport, we did see a handful of Japanese, Korean, French and German cars, none especially new. 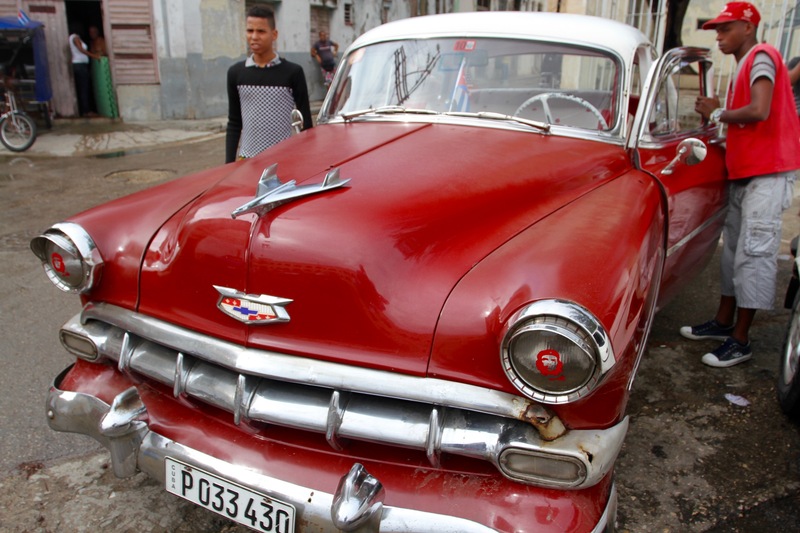 Once the US embargo ends they’ll be more cars, lots more, clogging up Cuba’s highways. Most of all there’ll be a new batch of American cars on the streets. 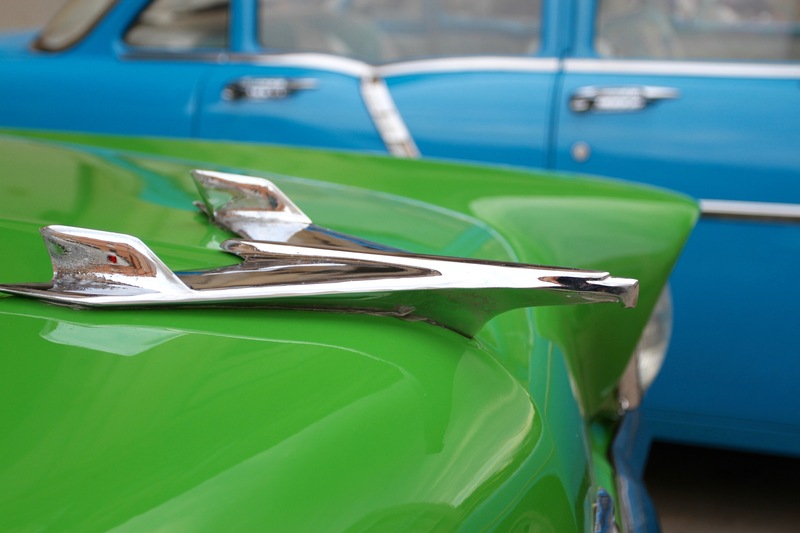 In another one of those ironies in which Cuba seems to specialise, it’s likely that Cuba’s classic American cars will be heading the other way, back to the United States as vintage collectables. Polder? No. Not Dutch polders. Let’s hope those lovely remnants will stay on the streets for some time. A slip of the Dutch keyboard Brian? Maybe they’ll be pushing all those old cars into the polders to get rid of them! Speaking as the former owner of a 1960s MGB GT and a 1970s VW Beetle, it would be such a shame if it’s allowed to happen. 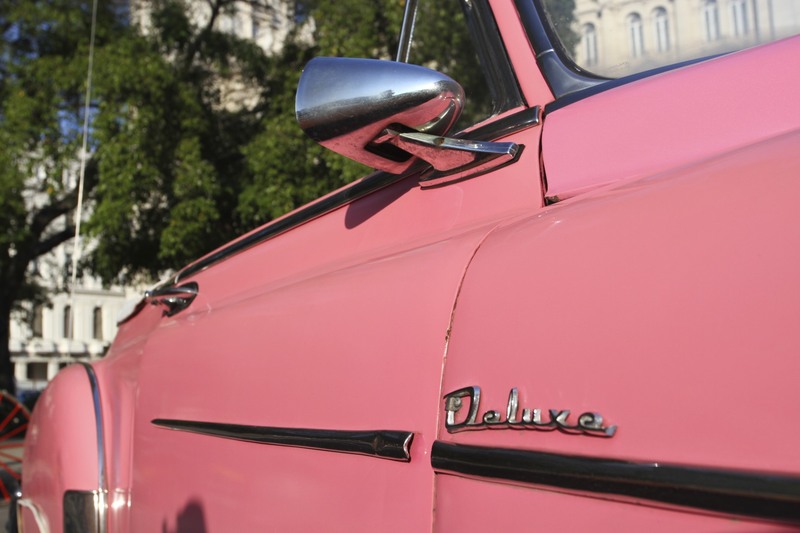 Old cars have much more style. 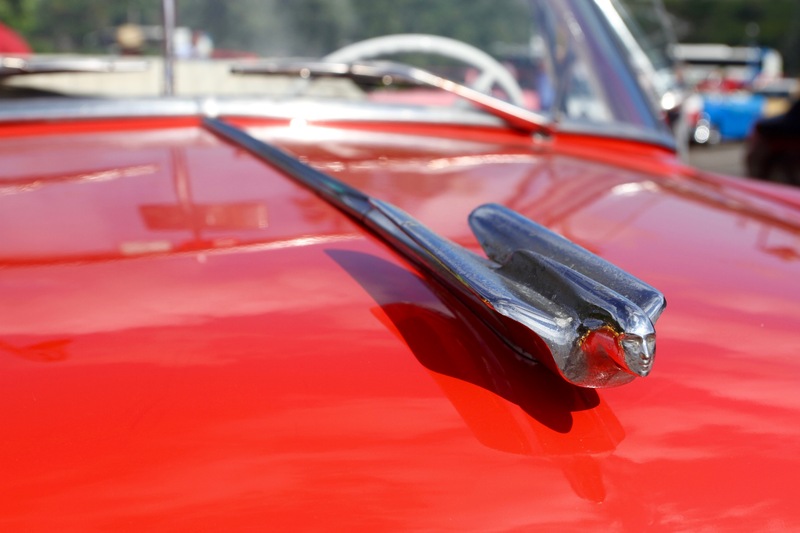 They introduced something similar in the UK but exempted ‘classic’ cars, although the definition of ‘classic’ could keep many lawyers busy for a long time. If I’d hung on to it, I think I might be bankrupt by now…I won’t bore you with the details of the rebuilding of the bodywork! Still, I did love that car. I recall the Triumph from your photo, beautiful car. I had friend with a Triumph Spitfire, I was always jealous! Spitfires were fabulous too. But I can imagine the maintenance and rebuilding. I’m not good enough at mechanics. Well, memories and moments are the only real treasures. Tot ziens. I agree, I have very fond memories of the ‘Inca Yellow’ MG. Fond enough to make feel nostalgic about the cost of repairing it. Do you have any pictures? That would be fun. I do, sadly they are all ‘analogue’ rather than digital and in a box somewhere in the UK. When I sold it it went to someone in the village where my mother lives, so on rare occasions I actually see it. Als gut, dankje wel. So you can actually see the car from time to time. And your mother lives in a village? How nice. Whereabouts? I haven’t seen it for some time now though, but then I don’t go back so much these days. She lives in a village near the town of Kendal, the Old Grey Town as it’s known. It got the name from the slate it was built from, but it equally applies to the average age of the inhabitants these days! Hope you’re having a good semana santa Brian? One can’t live in fear, just do take care. It has been an extraordinary few days Brian. I keep reading that this is Europe’s ‘new normal’ and, sadly, it is I suppose. I take heart from the fact that Europe has seen times like this before (Baader-Meinhof, IRA, UDF, Red Brigade, etc.) and come through them, although this does feel different. Kendal is a lovely place, on the doorstep of the Lake District National Park – if it stops raining long enough to enjoy it that is! Yes, sadly, it has happened before, and Europe has “weathered” it. But it is also happening in Lahore, Pakistan, to name a few. This does feel different. Watch your back. As for the Lake district, based on some pictures you posted, plus NL, it seems that the sun follows you around… 🙂 That is a talent. Tot ziens. True Brian, the statistics on terror worldwide are truly horrifying. We seem to stumble from one atrocity to the next, and with each one we become ever more used to it as the ‘new normal’. I recall my childhood in the Lake District as being one long downpour, school summer holidays seemed to pass without the rain ever stopping. Perhaps I was storing up better ‘karma’ for the future! I may be misremembering, but it did seem like there were summers without any dry days. Instead of being outside in the fields we were stuck indoors; always hated being indoors as a child, it troubles me far less these days! This is very true. There is a plague of obesity amongst young Brits, not helped by the government selling off local parks and and sports fields for housing developments. I used to walk to my primary school (only 800 metres) as did most of the students, but most kids get driven these days. The’School Run’ has become a national fixture, of parents driving their kids to school, and is to be avoided at all costs! “dirve” 800 metres? OMG. No wonder. What a shame. Ps. It is a problem with old photos. I’ve practically digitalized 99% of my parents pictures, slides and negatives. Titanic. I don’t think I will do so with my own pics. Maybe only a selection. There’s still something special about a physical photo, particularly an old photo. I love opening old boxes and finding photos. I recall your photos from Indochina (and your family photos) which definitely make the case for getting them digitised. I must look into it. Lookin’ good! Love these photos; almost makes me want to get one of my own. I know, they’re things of great beauty, but a nightmare to maintain no doubt! Patience or finances…I speak from experience!